Broken blood vessels are fine, red veins that commonly appear on the nose, chin or cheeks, but can also appear in other parts of the body. 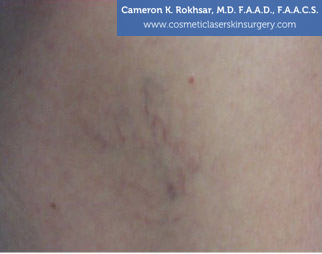 They have also been referred to as varicose or spider veins, They usually appear as a result of aging, pregnancy, childbirth, birth control pills, sun damage, or Rosacea. Broken blood vessels are fine, red veins that usually form on the nose, chin or cheeks as a result of skin damage, causing the blood vessels just beneath the surface to crack. The bulging appearance is a result of a clot that forms within the blood vessels, making it bulge from added pressure. As the blood passes by the clot, stress gradually increases on the vessels and it eventually weakens and breaks. These small, red blood vessels can be easily removed with lasers, which target the hemoglobin (blood) that is present in the vessels. The visible blood vessels are targeted and removed. They absorb the light emitted from the laser and destroys the vessel without damaging the surrounding skin or any non-targeted vessels. 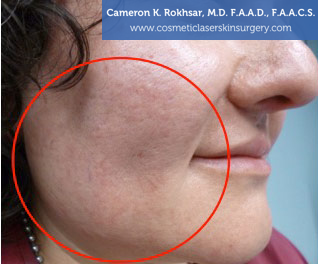 The most effective treatment is the V-Beam pulse dye laser. The procedure usually takes a few minutes and does not require numbing cream because it is equipped with a cooling spray to soothe the skin. Most patients usually need 1-3 treatments, depending on the size of the veins. The concentrated laser targets individual veins, which turns into heat and forces the body to absorb the veins, leaving behind clearer skin. Dr. Rokhsar will advise the patient to apply moisturize or sunscreen to protect the skin and speed up the healing process. 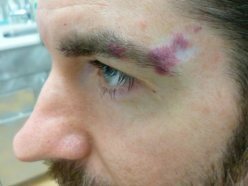 Temporary discoloration, crusting, bruising, blistering or redness may occur, but lasts only a few days. 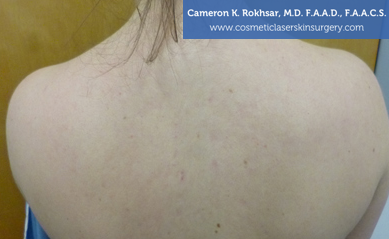 Dr. Rokhsar provides patients with the V-Beam Perfecta Laser, the most advanced version of the V-Beam laser. 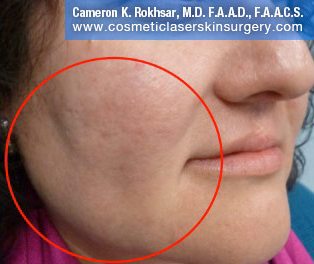 This laser is highly effective for treating blood vessels and vascular lesions. Depending on the severity of the patient’s broken blood vessels, multiple treatments may be required. There’s no reason to let uneven skin tone or broken capillaries get you down or keep you down. 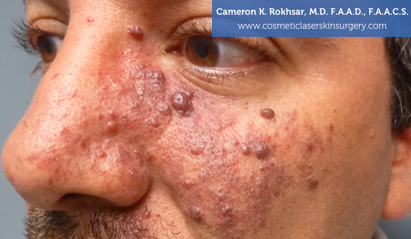 Redness and unevenness in the skin is not permanent. Dr. Rokhsar provides a wide variety of treatments designed to help even out skin tone and give patients a more natural look. In other words, just because you have broken capillaries or redness of the skin, that doesn’t mean those issues can’t be addressed. 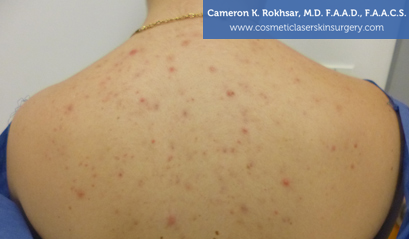 Dr. Rokhsar is one of the world’s leading experts on laser systems and cosmetic laser technologies, so he’s an excellent resource to help you. 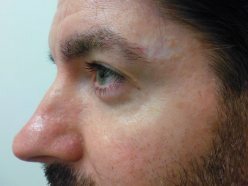 This is a 37 year old who had prior treatment with V-beam laser for a hemangioma at a different practice with little success. 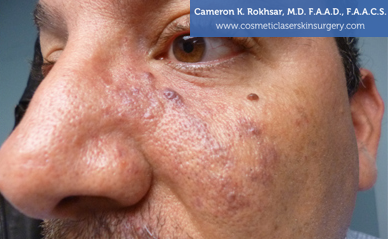 We were able get rid of it with 5 sessions of the V-beam laser without scarring. Most of our patients who have gone through treatment note a substantial increase in confidence and self-esteem. If you want to see what Dr. Rokhsar can do for you, contact our office to schedule a no-pressure consultation and get the process started!